Dublin’s O’Connell Street could be about to get another hotel. An overseas investor has agreed to pay slightly over €6 million for the half-empty Findlater House office block near the Gresham Hotel, which is to be sold on behalf of NAMA. The State asset manager has yet to approve the sale. The price offered is around 44% more than the €4.5 million-plus originally sought for the block by agent Keith O’Neill of BNP Paribas Real Estate. The property attracted a high level of interest from both Irish and overseas investors, ending up with eight tenders. The €6 million selling price is a long way from the €30 million-plus paid for it in 2005 by Garret Kelleher’s Shelbourne Developments. Funding had been provided by Anglo Irish Bank, whose successor is now in liquidation. 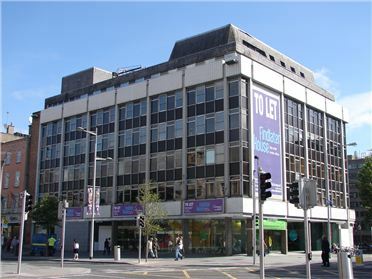 The six-storey Findlater House dates from the 1970s and has been difficult to let to office users since Eircom moved out a number of years ago. With an overall floor area of 5,340sq m (57,478sq ft) it could possibly accommodate at least 150 bedrooms, depending on the configuration of the two adjoining blocks. The complex is currently producing a rent roll of around €420,000 from a mix of tenants which includes the State-sponsored Irish Aid agency, the English Academy College and The Living Room bar, which fronts onto Cathal Brugha Street.